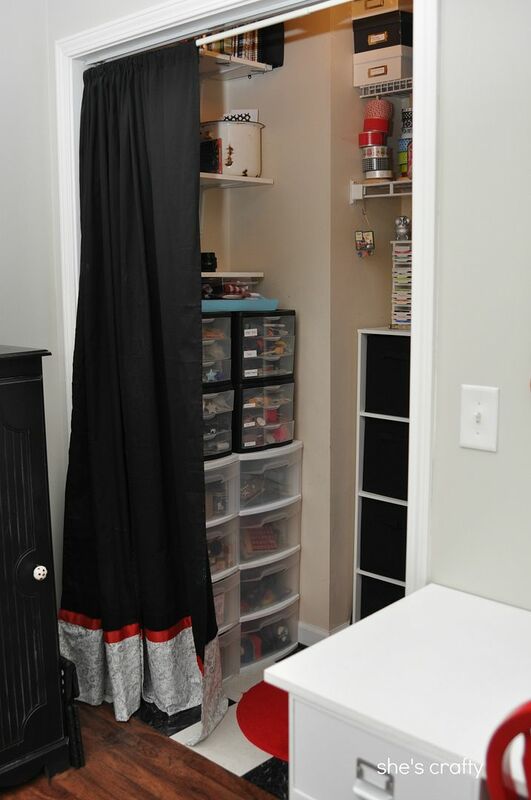 In my craft room makeover, I didn't show my closet because it really needed to be cleaned. After a few days of moving things around, getting rid of 2 garbage bags of stuff and reorganized, it's all fixed up and presentable! 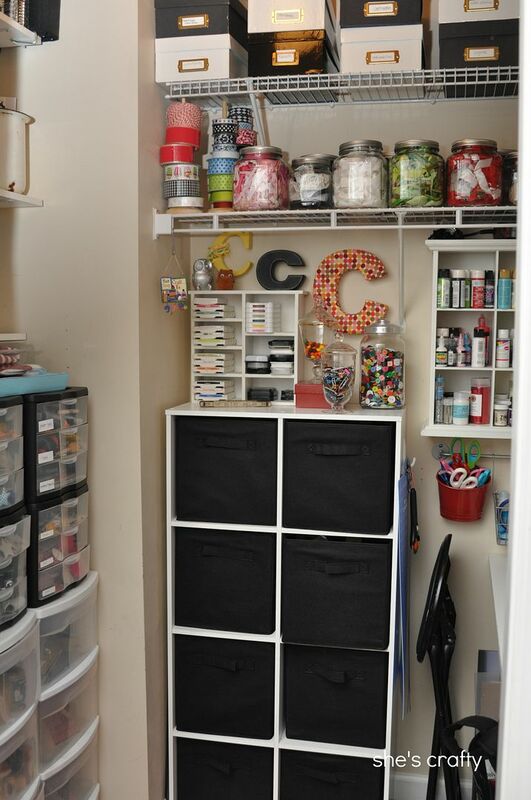 This is the doorway that leads to the closet from my craft room. It had bi-fold doors, but they took up too much space so I opted to take them off and just use curtains with a tension rod. I don't love the curtains, but I already had them from another room so they are here for now. It's a walk in closet (that's not really big enough to take good pictures in). 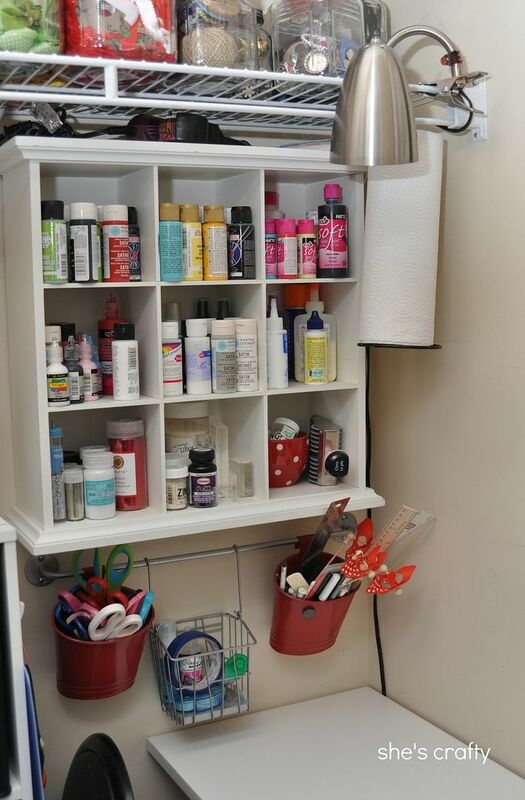 Starting at the left of the door- I installed a few shelves on L brackets. The top one holds my antique sewing basket and a bunch of old journals. 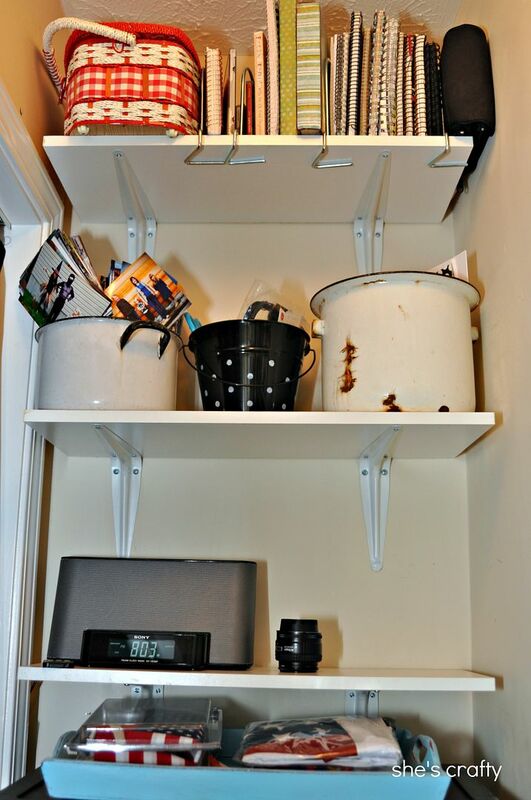 The second one has my enamel pots with extra photos stored in one and my stationary and cards stored in the other. The black and white polka dot bucket holds sewing notions. The third shelf holds my ipod dock/radio and has a spot for my camera. The blue tray hold projects in progress. 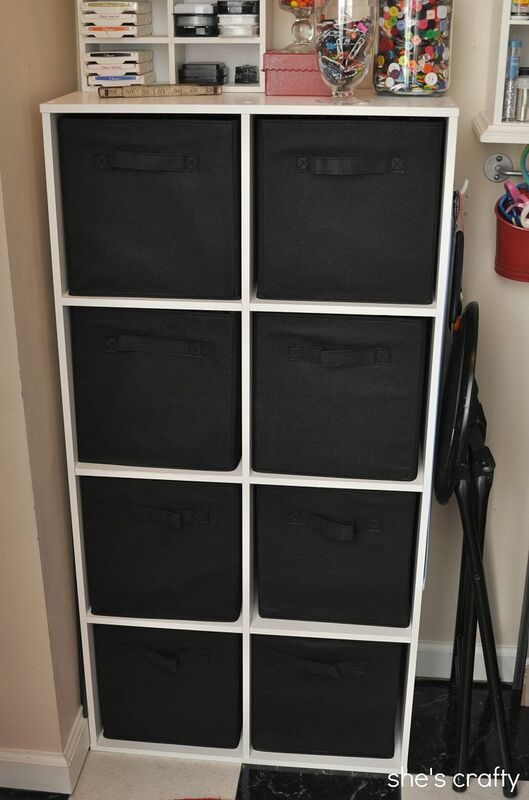 Underneath the shelves are all these drawers. I love them!!! 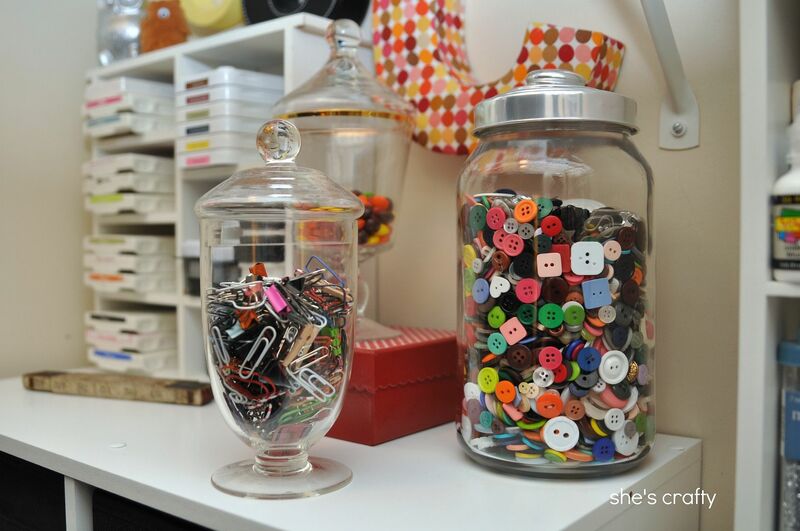 The skinny black ones on top hold embellishments sorted by color plus tools. 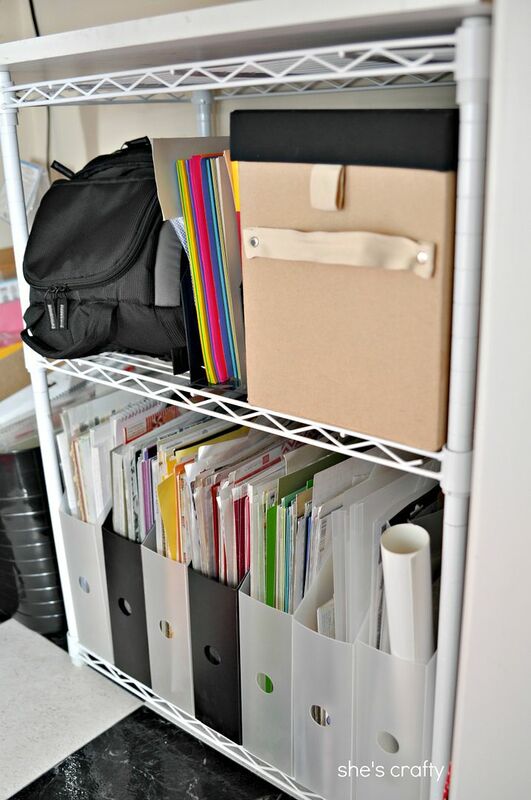 The larger white ones on the bottom (3 - 3 drawer plastic storage carts that I took apart like this and put back together into 2 taller 4 drawer carts) hold stamps, punches and miscellaneous stuff. You can't see the bottom drawer in the photo, but there are 4 drawers on each side. This shelving unit and all the fabric boxes came from Target. 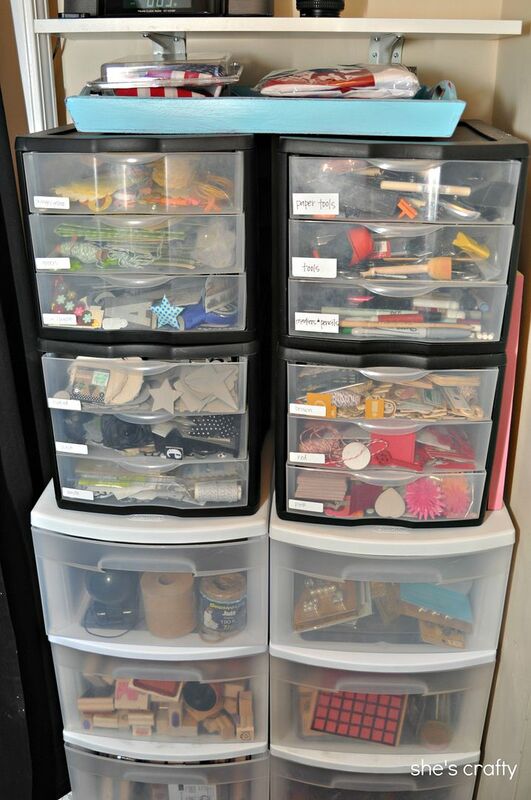 The boxes hold all sorts of craft supplies. There are even some that aren't full- yet. 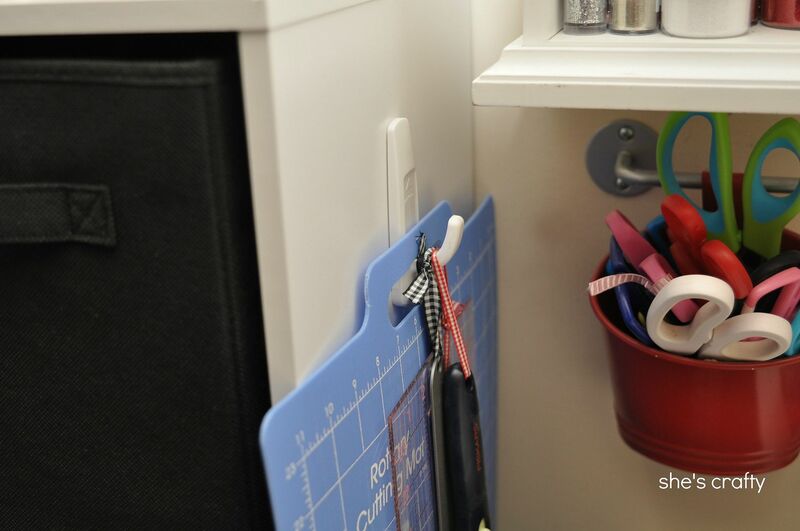 On the side of the shelving unit I put a 3m hook for my fabric roller cutter, ruler and self healing mat. On top is a small cupboard (from the thrift store) that I use to store ink pads plus some pretties like my initial, some owls and some jars full of buttons, clips and treats. Above all of that are 2 wire shelves. 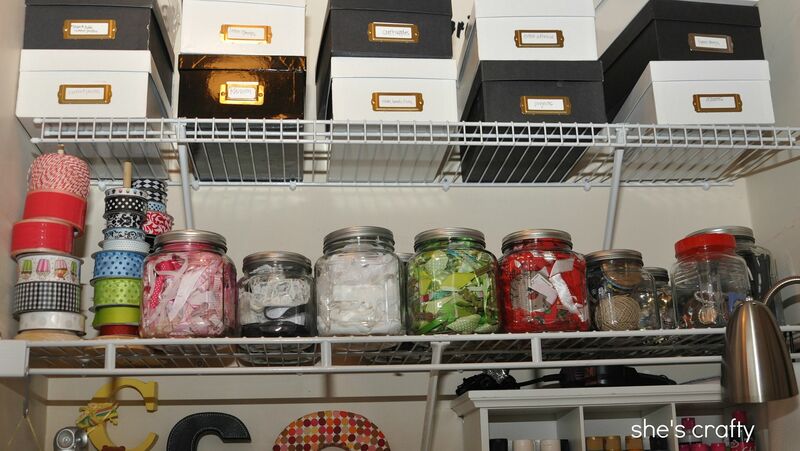 The top shelf holds photo boxes with of course photos and other craft supplies. 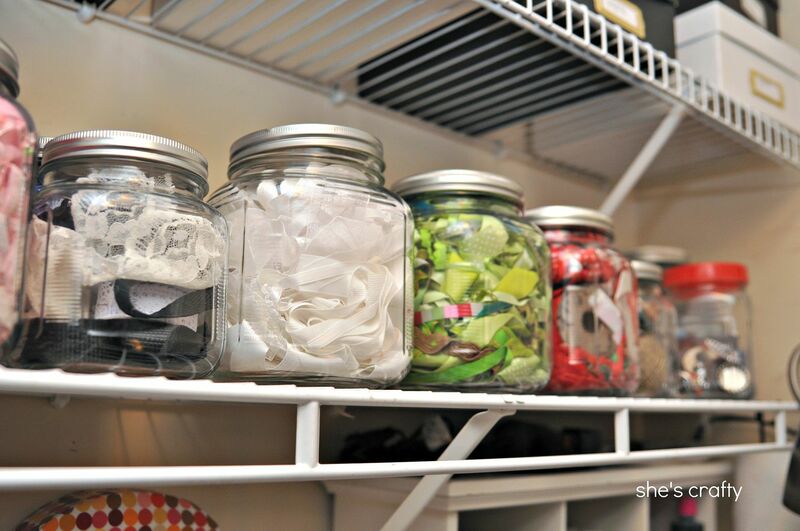 The bottom shelf holds my ribbon and other jars of goodness. To the right of the Target shelf is this cubby (from the flea market). It holds paint. 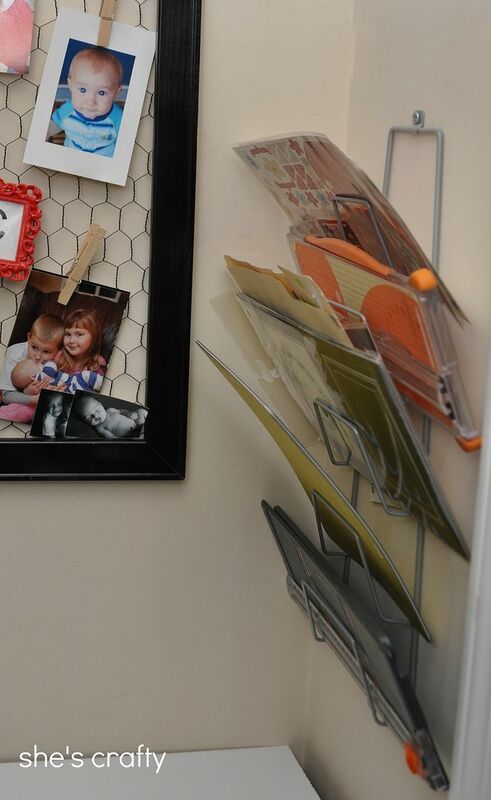 The wire bar underneath holds baskets (from IKEA) full of scissors, pens and adhesive. The paper towel holder (also from IKEA) is a little bit of an eye sore but oh so handy to have in here!! To the right is a small work surface. Underneath is a wire shelf from Target. 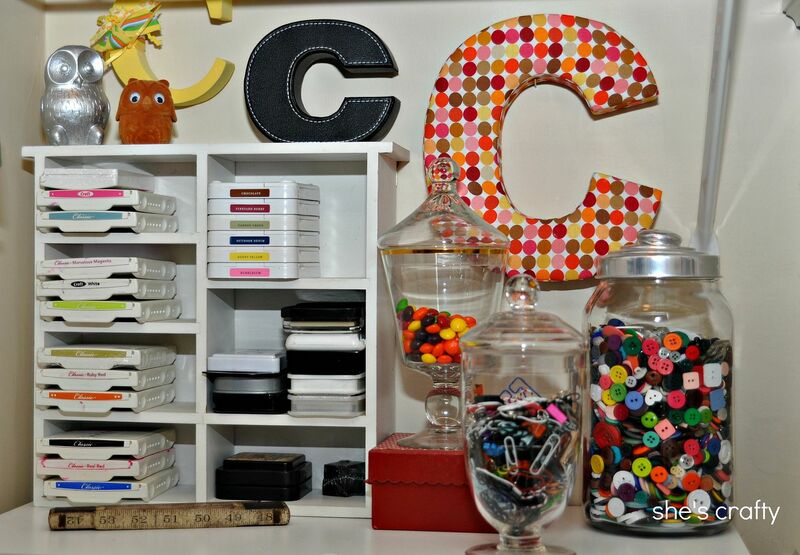 The shelf holds paper, a box of embellishments and my camera bag. 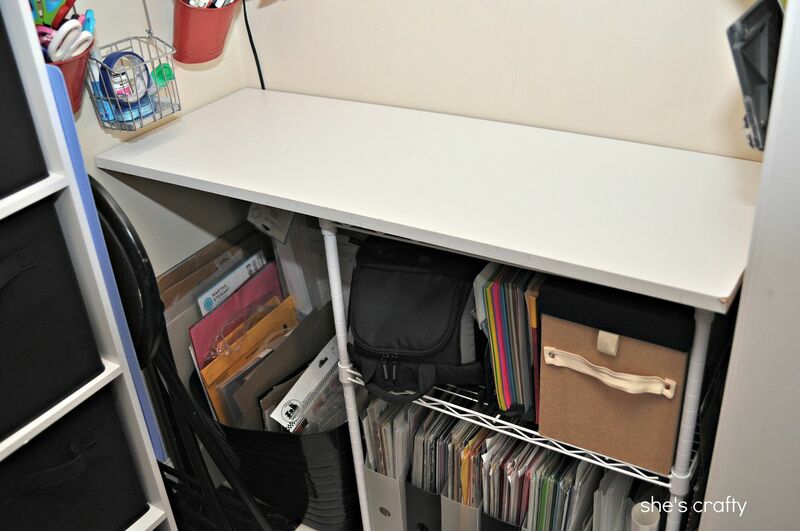 To the left of the shelf is a large storage bin for oversize envelopes, etc. To the right of the work surface is an IKEA pot lid holder. I use it to store my paper trimmers, my small self healing mat and currently used stickers. 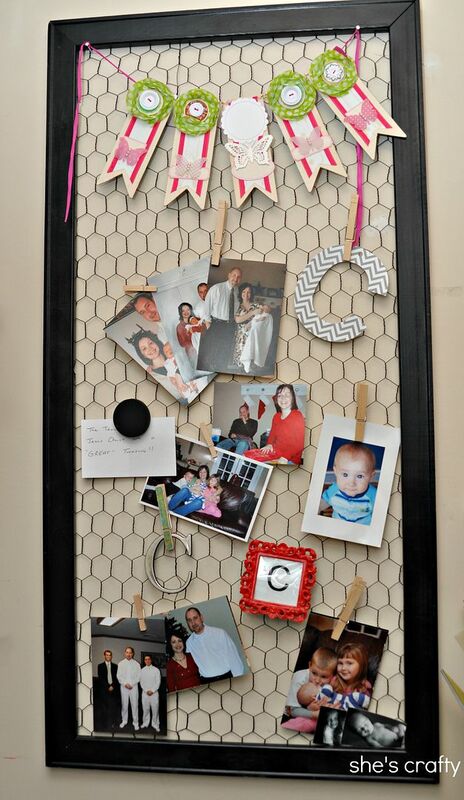 This chicken wire message board above the work surface holds some of my favorite pictures for inspiration. Some other details of the room. I love this cute ornament that my son gave me for Christmas last year. What a great little space! I simply love it, thanks for sharing! Found you from ScrapScene and am soooo happy I did. 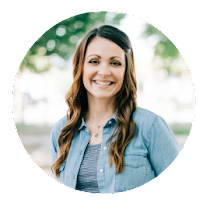 This is a fabulous room and you've shared really great tips and details. Enjoy your new space and thanks for sharing it with us too! WOW! 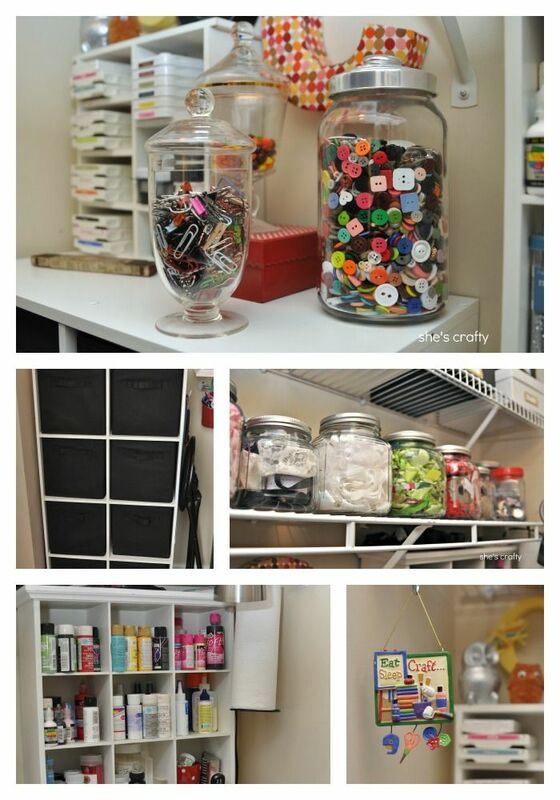 What an awesome and neat little place to put your craft supplies. 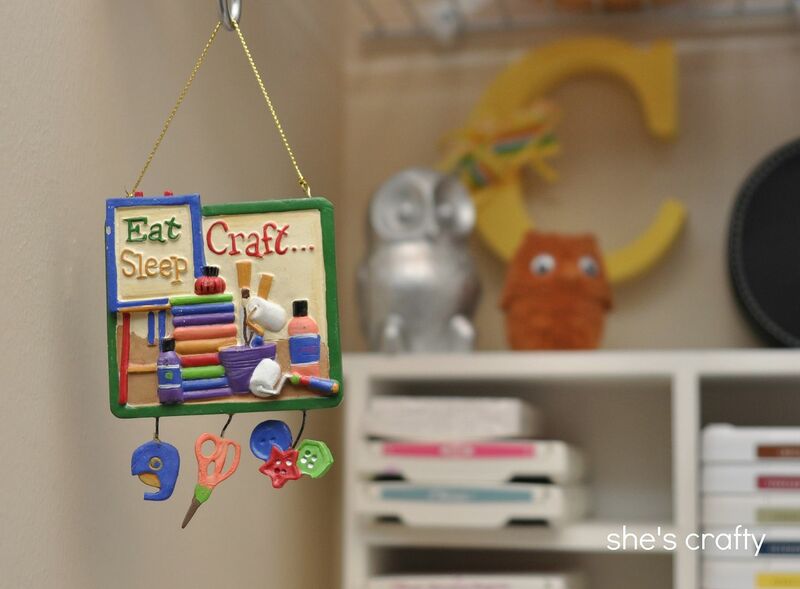 Loving it and would love to have my own craft space ~ lets hope! Thanks for sharing.